Mount Snow boasts 86 trails on 600 acres with 20 lifts including two summit express lifts and the only "six pack" bubble chair in the United States. Before you go, check the ski report. 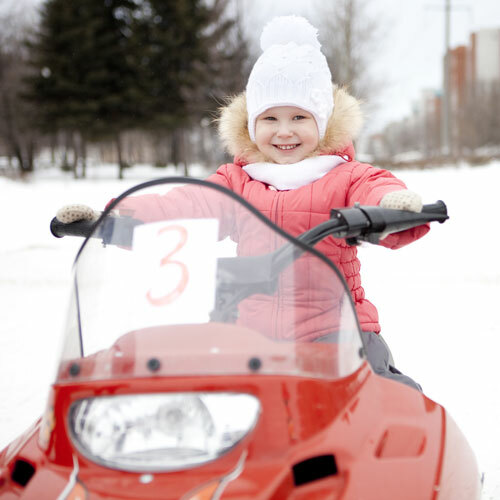 Enjoy a guided snowmobile tour in the Green Mountain National Forest of Vermont, operated by Snowmobile Vermont. Explore a wide variety of terrain, ranging from thickly wooded pines to wide open stretches. Snowmobile Vermont offers 1-hour backcountry tours or 2-hour mountain tours. Tours leave from the base area of Mount Snow. Snowmobile tours offered by Snowmobile Vermont are customized for all abilities, and no experience is necessary. Tours include snowmobile and helmet rentals. 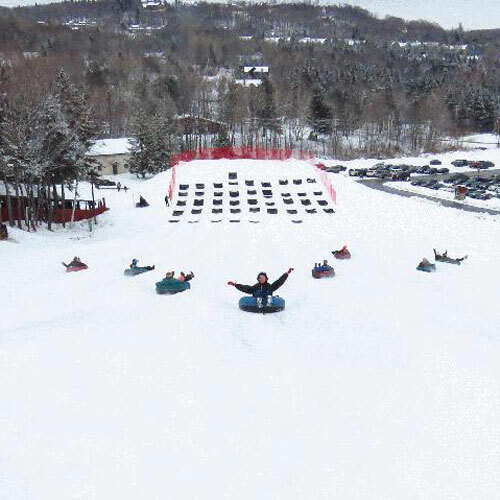 Southern Vermont is well known for being one of the best places to go "sledding." The Wilmington Inn is only a few miles from tens of connection points to the famous VAST Trail network that includes more than 5,000 miles of free trails that span from the border of Massachusetts to Canada. In addition, there are a number of restaurants and gas stations that welcome snowmobilers. Let us help you arrange a rider's permit and plan a day trip for you during your stay with us! Don't have a snowmobile? No problem, a local rental company can set you up according to your skill and adventure levels. One of the best all-terrain nordic mountains is located about 13 miles from The Wilmington Inn, Prospect Mountain. Prospect Mountain maintains more than 30 kilometers of trails. When the snow falls, the trails are expertly groomed for both skating and classical cross-country skiing. Most trails have tracks set on either side with a wide skating lane in the center. There are also special snowshoeing and single-track trails. We have trails from beginner to expert. The Mountain Trail is popular with experts looking to climb more than 400 feet to the top of the mountain. After enjoying the view into the valley below, get ready for several kilometers of downhill fun! The Base Lodge at Prospect Mountain offers a comfortable and inviting place to relax and recharge. The spacious lodge has a country atmosphere with a large stone fireplace, woodstove, and big windows to enjoy the view of Vermont’s scenery. The lodge restaurant serves everything from hearty meals to light snacks. The menu includes foods to satisfy our gourmet, vegetarian, and health, conscious customers. The Base Lodge and Ski Shop are generally open every day in season from 9-5 (or until night fall). The Wilmington Inn is proud to announce guests at the inn can receive discounted tickets & rentals at Prospect Mountain. 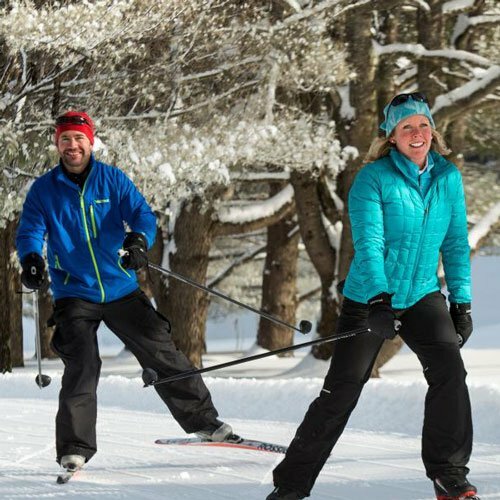 Have your own cross country gear or snowshoes; discounted tickets are $15! Need to rent gear; package pricing includes rentals & ticket at $30! When booking your reservation, add these items on to your reservation to reserve or call the inn at 802-464-3768. 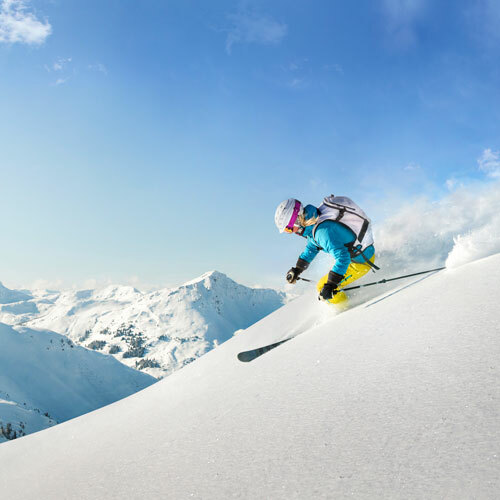 Experience winter as never before. 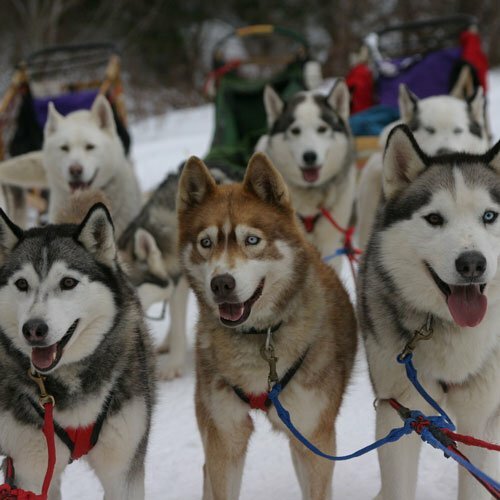 Be pulled by a team of Siberian huskies on an exhilarating 2-hour sled ride through Vermont's scenic winter landscape. With mushers as your guide you will get a chance to witness true working sled dogs in action! Tours are offered as single or double sled adventures, begin at the kennel, and take a scenic route up and down a mountain. Dog sled adventures through scenic winter landscapes for ages 6+. Reservations required. Our picturesque farm surrounded by majestic mountains is the perfect backdrop for that special sleigh ride, ideal for any winter occasion. Our guests are taken on our private trails that are groomed especially for the sleigh. 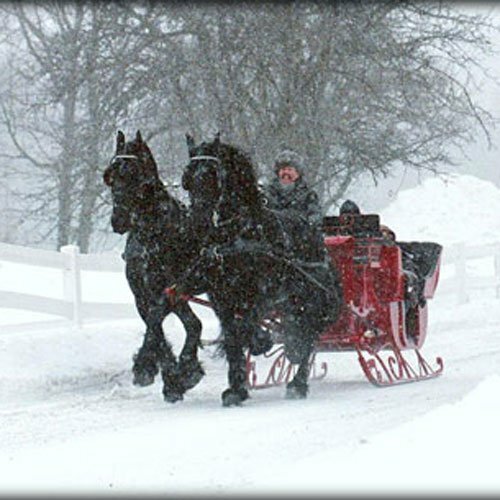 We can accommodate up to 4 adults on our larger private sleigh and children of all ages are welcome. Our sleigh rides are typically forty-five minutes. We also offer the option of a tour after the sleigh ride. This includes cookies & hot drinks with your guide, a guided tour of our facilities, meeting the horses and a chance to play & snuggle with our foals.